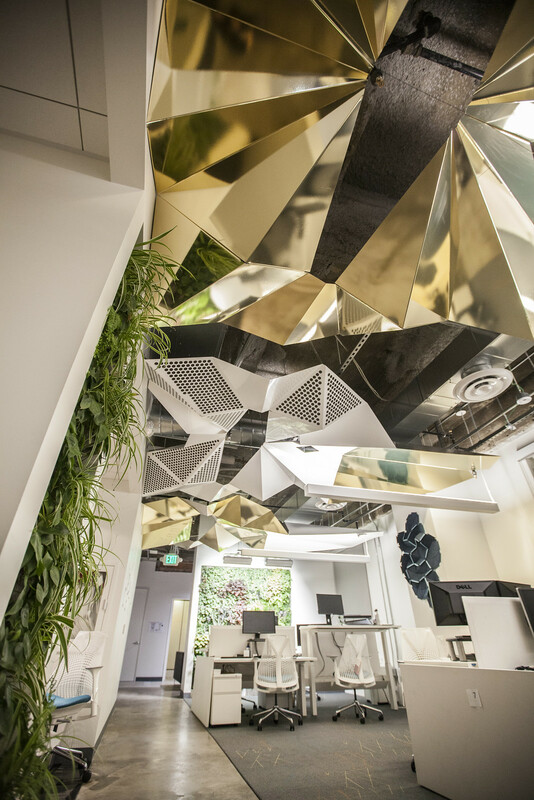 Earlier this year we completed a faceted ceiling design in a vibrant downtown Oakland office.These faceted panels were designed to cover up the installed ceiling infrastructure, help with office acoustics and add visual interest. The complex ceiling panels had to integrate into the new infrastructure being put in place. 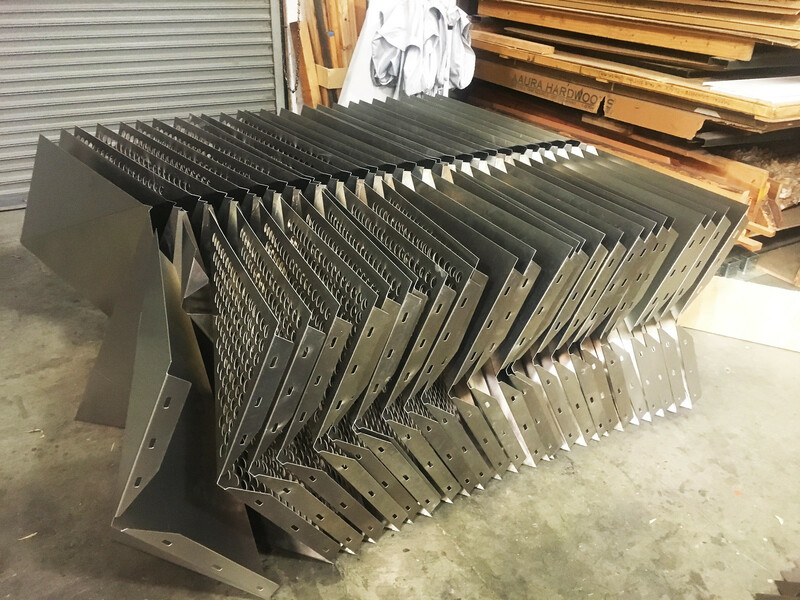 Working closely with the owners and the other contractors involved in the renovation, we used 3D scanning & BIM management to make the project a success. The panels were created in smaller units so they could be easily brought into the space. 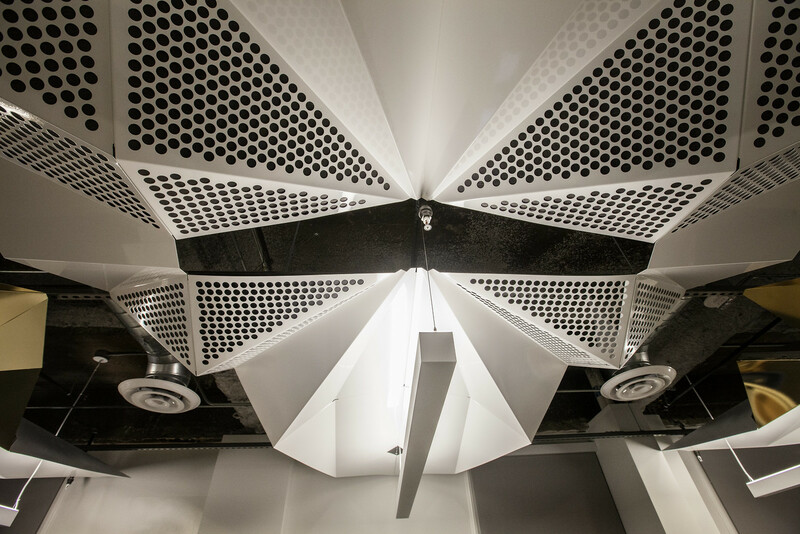 A pattern of perforations were cut into the panels for aesthetic interest and acoustics. 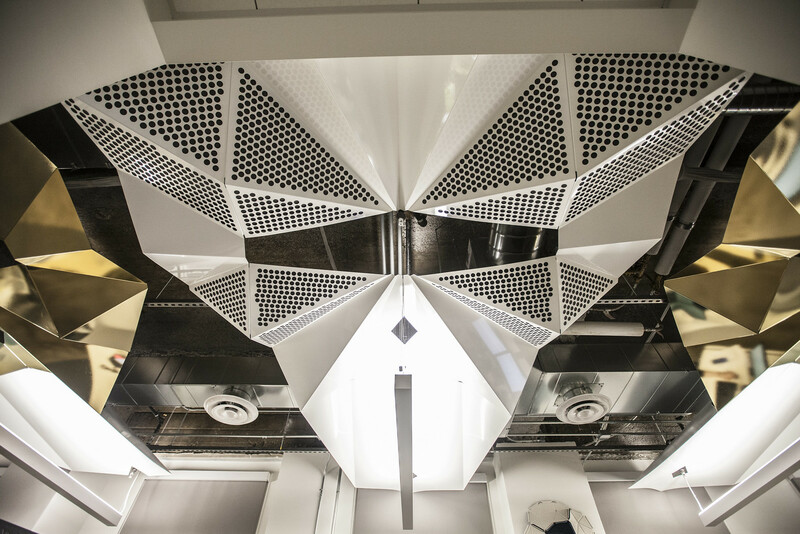 Sound absorbing material behind the perforations help with this open office sound issues. Bold gold and white colors now cover the ceiling in a dramatic effect. Now a dramatic effect as the ceiling is in place. Bright colors reflect light downward to create a brighter office without harsh lighting. The bounce light off the panels is a soft light, the panels are beautiful to look at and the sound acoustic material helps with office noise. 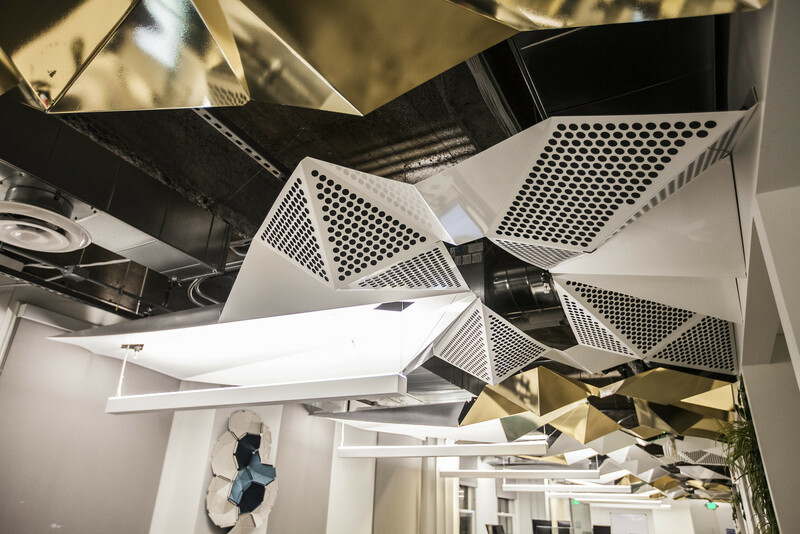 Form and function working well together make for another successful office space! 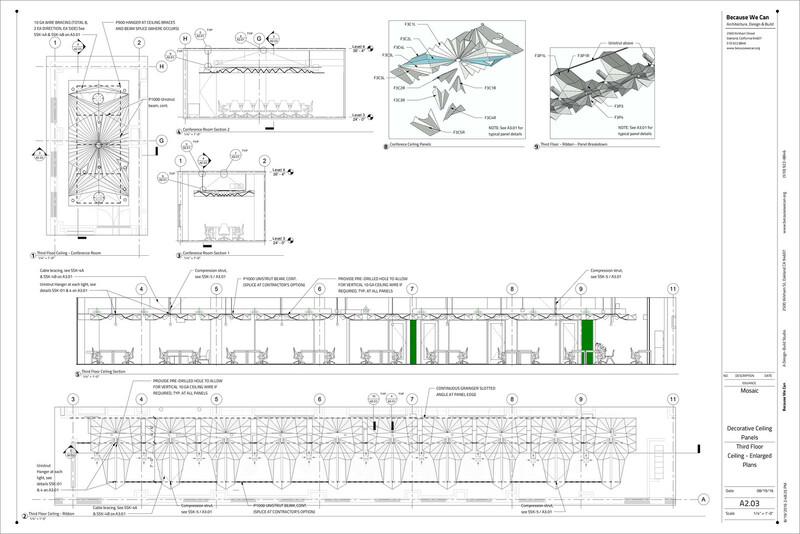 Read more about this project on our portfolio page.